If you live in the Southampton area and have a broken, misted or fogged window then call us today! The image below on the left shows a genuine fogged/misted double glazed unit belonging to a customer. This damage can occur over time and is the result of a break in the units seal. The break will not only cause visual impairment, but it will also offer poor energy efficiency as the unit is not working as it should. The image below on the right shows the same window after a visit from the local Double Glazing Repair UK agent. As you can see a unit replacement means that you do not have to fit an entire new window frame, just the double glazed unit. This will save you money and the hassle of trying to match a frame. 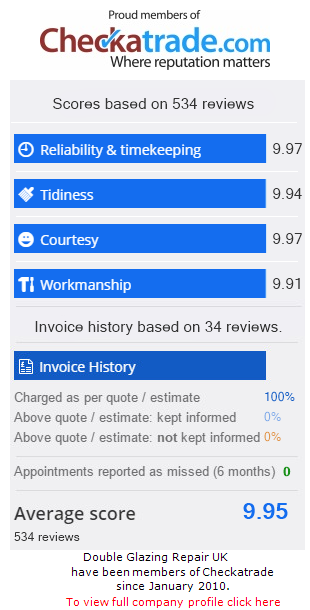 The main stay of our business is in double glazing repair, however when a repair is simply not possible we also now offer a brand new installation service aimed at customers that are either in need of a complete replacement that matches the other existing windows and doors or are simply looking for a brand new quality installation. For more information on our new installation service please visit the new “Installation” page on our site. Double Glazing Repair UK will return customers enquiries within 24 hours as standard.